Caesars Entertainment is one of the most established and innovative names in the casino industry, having been a market leader for over 40 years. The company is growing and it’s imperative that standards continue to rise with it. Therefore, ensuring that team members perform at their best and continue to deliver exceptional customer experiences is crucial. However, like many industries these days, individuals are often required to perform under pressure and need to be resilient in the face of challenges and demands. 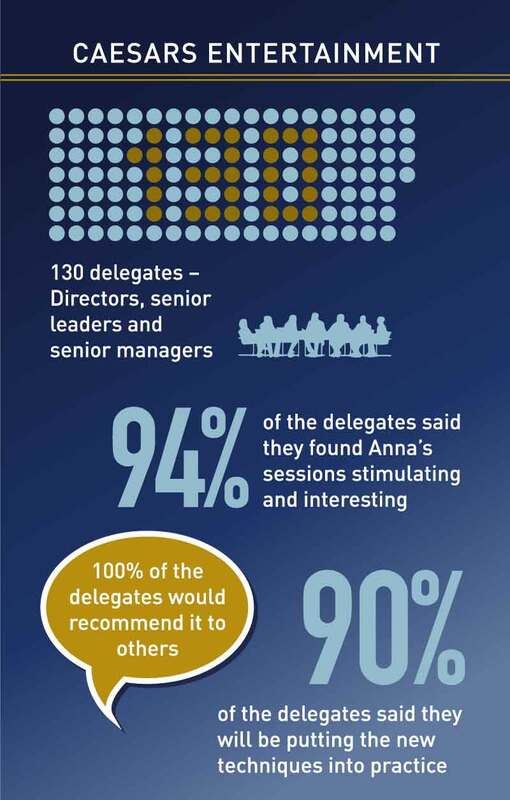 The Management Excellence Conference comprised of 2 separate days with an audience of 65 Directors and senior leaders on day 1 and 65 senior managers on day 2. After some discussions around the objectives for the management excellence days and a better understanding of the business, we agreed that Anna would kick the day off with an inspirational keynote speech and follow this up with a workshop on Performing Under Pressure. This needed to be motivational, to draw on the lessons from sport and include key messages on performing under pressure, the power of a common goal, sustaining high performance and seeking marginal gains. How to be less reactive, think more clearly and improve decision making under pressure. "Thanks again for a fantastic couple of days. The feedback was excellent and speaks for itself!" 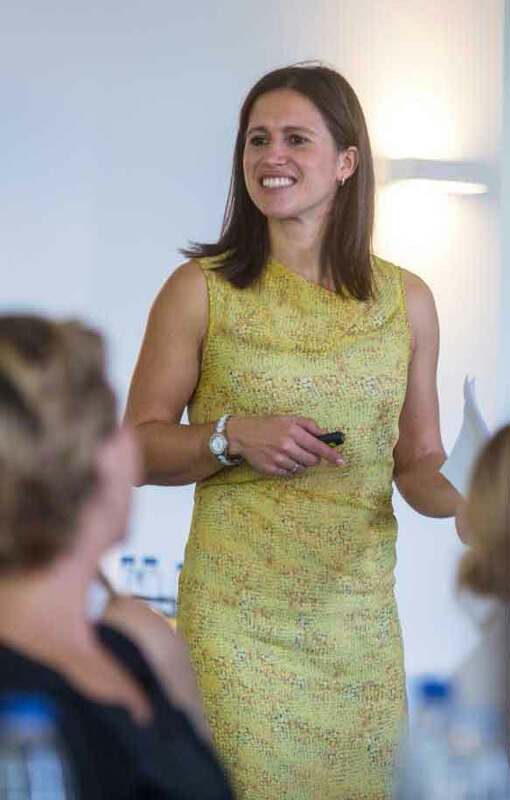 “Anna was very interesting and you can definitely equate sport into the corporate world.